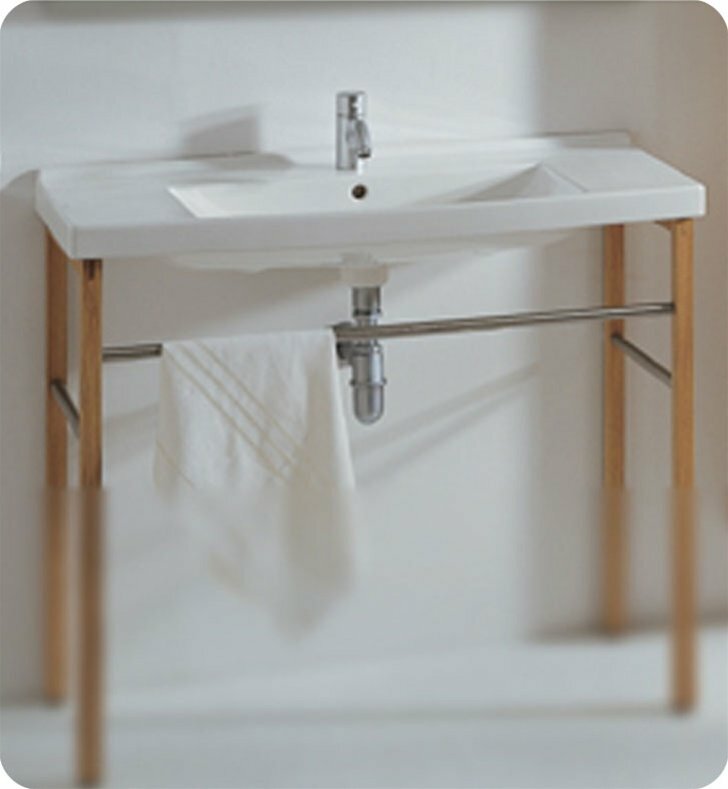 With natural wood leg supports and polished chrome towel bar. Shelf space on left and right sides. Widespread or single hole faucet drilling. Dimensions: W 39 1/4" x D 19" x H 34 1/2"